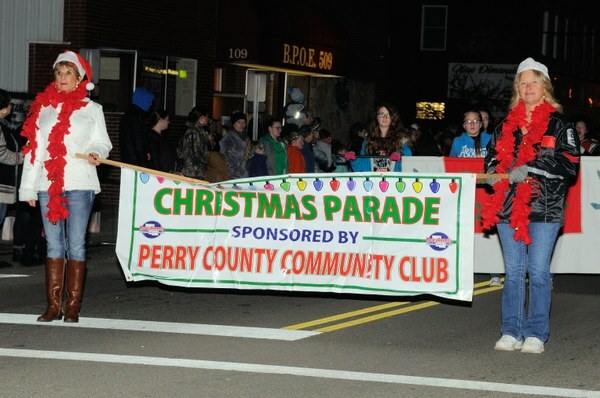 The Perry County Community Club presents the 2018 New Lexington Christmas Parade on Friday, December 7, 2018 starting at 6:30 p.m. at the Jim Rockwell Football Stadium - New Lexington, Ohio. Parade line-up starts at 5:30 p.m. at the Jim Rockwell Football Stadium with judging at 6:15 p.m.
Photo below from the 2017 Christmas Parade. Click on photo to view full size.